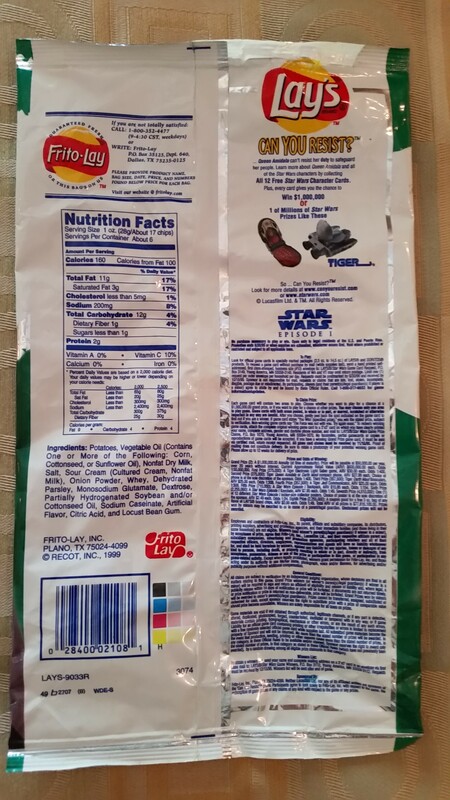 Among the numerous tie-in merchandise for Star Wars: Episode I were potato chip bags adorned with characters on the outside and game pieces inside. 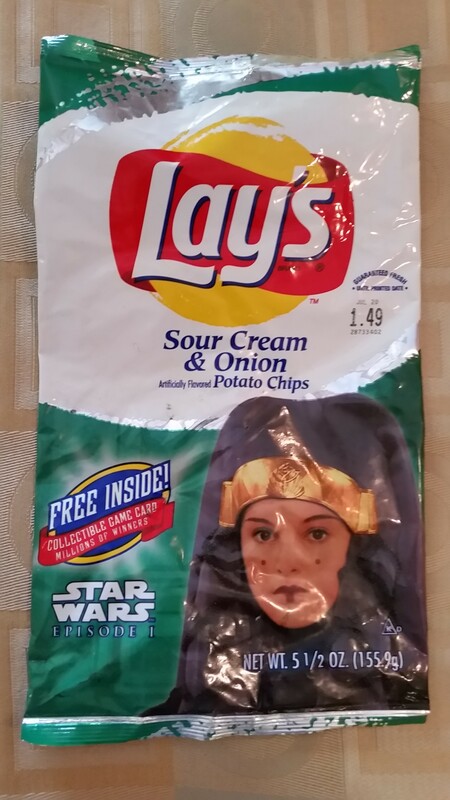 Queen Amidala was on the small Lay’s Sour Cream & Onion bag. This is one of the few items that used the dress she wore on the return trip to Naboo. I have no information on where or for how much I acquired this item.